As poker players and legislators in the state of New Jersey anxiously await the arrival of PokerStars in New Jersey via Amaya gaming, there is one legislator that is not happy with the potential launch of the online gaming giant in the state. Ralph R. Caputo is an Assemblyman of NJ and recently posted an op-ed at NJ.com which discussed PokerStars in a negative light. In the article, Caputo stated that the gaming regulations of the state are being made a mockery of when compared to how easy PokerStars may be allowed to enter the gaming market. The Assemblyman stated that the top online poker company is a disgraced and a questionable company and believes that the fact PokerStars is teaming up with Amaya does not negate the history of the company. In the state of New Jersey, online gaming has done well when compared to Nevada and Delaware, but nowhere near the amount expected during estimations. 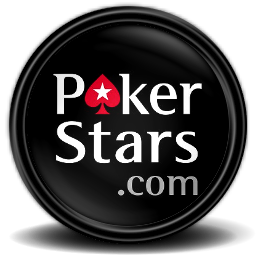 PokerStars is welcomed by the majority as it would help to bring more revenues to the industry, which is much needed. A tentative launch is expected for October 1st for PokerStars as well as Full Tilt, with a new application under review from Amaya currently taking place. Caputo holds the position as the chairman of the Assembly Tourism, Gaming and Arts Committee and says that PokerStars has had it too easy when trying to enter the NJ gaming market online and is demanding the company be subject to more rigorous scrutiny including past and present business dealings. Caputo discussed Isai Scheninberg, the founder of PokerStars, calling him a ‘fugitive’ and says PokerStars is an unwelcomed ‘bad actor’ in the state. As Amaya takes over, the Scheinbergs are removed from the situation, but Caputo believes the family will still benefit from the deal, which is worth $4.9 million. In the report, Caputo states that to allow Amaya, which may be a legitimate company, to purchase assets and people that he calls are ‘the fruits of the poisonous tree’ as well as an enterprise that drew indictments on a federal level while continuing to profit handsomely and then allowing this company to operate in the state of New Jersey would be an insult to everyone who has conducted business in the state’s casino industry or been under the microscope to be able to operate in the state over the past 30 years.